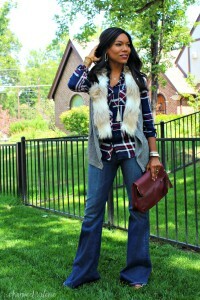 If you are a fur vest lover like myself or just starting to dip your toe into the furry waters–this post is for you. 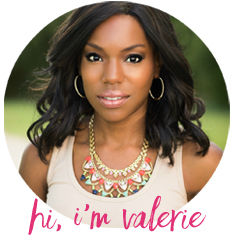 Not only have I linked the SIX ways I’ve worn fur vests here at CharmedValerie but I’m also doing a Fur Vest collab with EIGHT other stylish bloggers (see the end of the post to check them out). I bought this fur sweater vest a few weeks ago (now it’s on even BIGGER sale than it was when I got it) and I’ve worn it once or twice a week since. Fur vests are a great staple piece for your fall/winter wardrobe because they’re like cozy, glamorous jackets (meaning you can get away with wearing them on repeat with a variety of outfits). 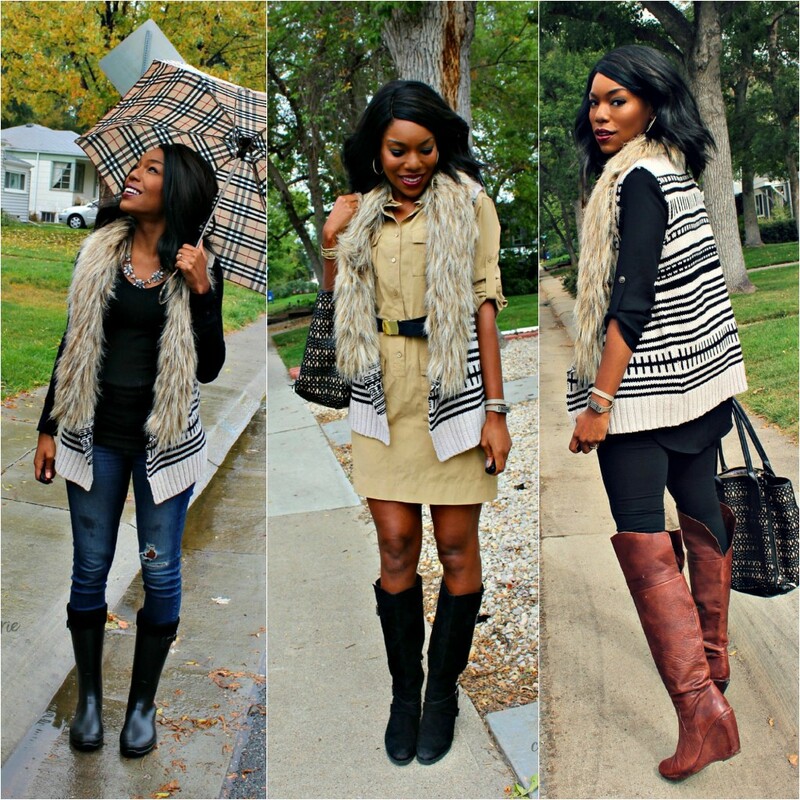 Here are three ways I’ve been wearing fur vests for fall 2015. I don’t know about you but rainy days are a lot less gloomy when I have a cute outfit to wear. 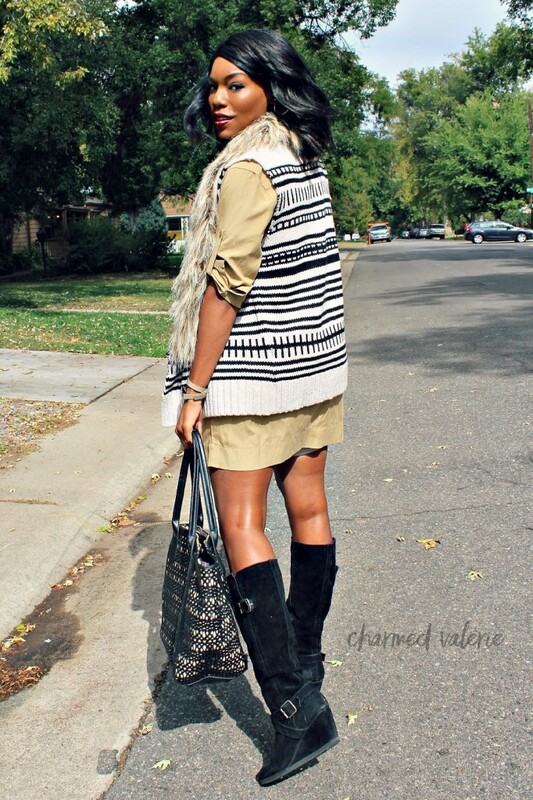 A fur vest, belt, and boots turn a simple dress into a super stylish outfit. 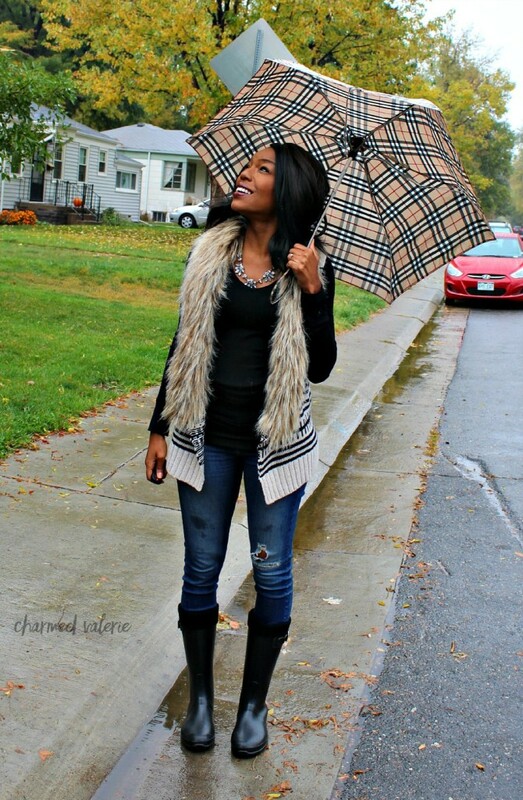 Also linking up with What I Wore Wednesday. 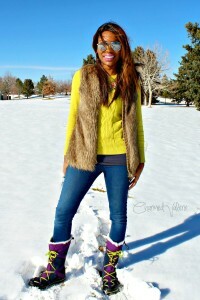 In LOVE with that fur vest with the print. Seriously!! You look good girl!